You can personalise this guestbook with 3 lines of text up to 25 characters per line. The words 'GUESTS' is fixed. All personalisation is case sensitive and will appear as entered. This guest books has approximately 80 sides to write on. The cover also has a soft linen texture. 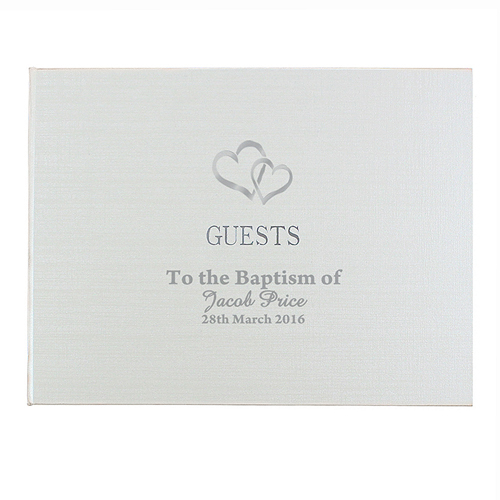 Personalise this guestbook with 3 lines of text up to 25 characters per line.